Virginia is a state steeped in history. Before the arrival of the Europeans, Chief Powhatan ruled over the untamed land. Chief Powhatan fathered one of Virginia's more famous historical figures, Pocahontas. 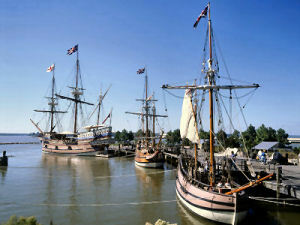 The first permanent English settlement in America, at Jamestown in 1607, set the stage for the taming of the wilderness. Virginia played a central role during the American Revolution, from Patrick Henry's fiery oration "Give me liberty or give me death", to the eventual surrender of Lord Cornwallis to Washington at Yorktown. And during the Civil War, Virginia saw more battles fought on her soil than any other state. Many of these battlegrounds are now national historic sites, and are visited by thousands of tourists annually. Virginia also holds the distinction of being the birthplace of eight U.S. presidents. No wonder they say that Virginia's history is America's history! Virginia was named to honor Queen Elizabeth of England often referred to as the "Virgin Queen." This nickname for the state of Virginia originated in Colonial days. Dominion refers to complete ownership of a particular piece of land or territory. Because he considered the Virginians "the best of his distant children," sometime around 1663, King Charles II of England elevated Virginia to the position of dominion along with England, Scotland, Ireland, and France. The citizens of Virginia were pleased with this elevated status because they considered themselves the most faithful of the King's settlements in America. 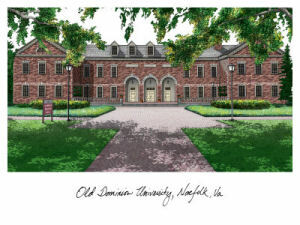 Since their settlement was the oldest of King Charles' settlements in America, they adopted the name "The Old Dominion." A variation of this name is "The Ancient Dominion." Sometimes Virginia is called the "Mother of Presidents" because so many of the early presidents of the United States were native Virginians. Because of the number of statesmen produced by Virginia, this nickname has been used. Virginia has been called the "Mother of States" because she was the first of the states to be settled and because of the number of states that were "born" of the Virginia territory. West Virginia, Ohio, Kentucky, Illinois, Indiana, Wisconsin and, even a part of Minnesota were all a part of the original Virginia territory. This nickname is derived from the Cavaliers (supporters of King Charles I during the English Civil War) who left England and came to Virginia during, and shortly after, the reign of King Charles I of England. Radio broadcasters referred to Virginia as "Down Where the South Begins" because of its location. Virginia is the most southern of the Middle Atlantic States. People who live in Virginia or who come from Virginia are called Virginians. Thomas Woodrow Wilson: 28th President of the United States, Woodrow Wilsong was born on December 28, 1856, in Staunton. He served two terms from 1913 to 1921. Released on October 16, 2000, this is the 10th coin released in the 50 State® Quarter Program and the fifth released in 2000. The Virginia quarter honors our nation's oldest colony, Jamestown, Virginia. The three ships on the coin--Susan Constant, Godspeed, and Discovery--brought the first English colonists here in the spring of 1607. Loaded with cargo and 104 boys and men, the ships set sail from London on December 20, 1606. 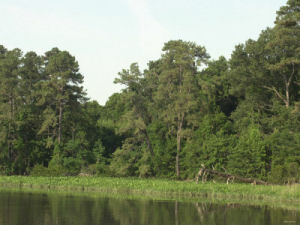 Nearly five months later, they landed on a small island along the James River. The crew formed the first permanent colony in the New World, 13 years before Plymouth, Massachusetts, was settled. They named it Jamestown in honor of King James I, who had chartered their voyage. Virginia (From Sea to Shining Sea) , by Barbara A. Somervill. 80 pages. Publisher: Scholastic Library Publishing (February 2003) Reading level: Grades 3-5. Presents information about Virginia's people, geography, history, landmarks, natural resources, government, state capitol, towns and cities, and more. Virginia (World Almanac Library of the States) , by Pamela Pollack. 48 pages. Gareth Stevens Publishing (December 2001) Reading level: Grades 4-6. Filled with the most up-to-date information, including the latest Census results. Full-color photos bring to life the story of Virginia. In addition to an in-depth factual profile of Virginia in the form of a state Almanac, this book offers fascinating and lively discussions of the state's history, people, geography, government, economy, culture, and lifestyles. A section on Notable People, a calendar of events, and enough primary source documents, time lines, maps, and other tools to make this unquestionably the best young adult reference material on the USA available anywhere. The Hornbook of Virginia History: A Ready-Reference Guide to the Old Dominion's People, Places, and Past , edited by Emily J. Salmon and Edward D.C. Campell, Jr. . 324 pages. Publisher: Library of Virginia; 4th Rev edition (October 1, 1994) Since 1949, The Hornbook of Virginia History has been the definitive, handy reference guide to Virginia's past. Historians, genealogists, librarians, students, editors, government officials, and citizens seeking to answer questions about the past regularly rely on its comprehensive and authoritative information. The fourth edition contains the latest statistical data for Virginia's cities, counties, and population. All chapters have been updated and several have been expanded to include a wider variety of significant historic sites. The concise historical essay and bibliography have been thoroughly revised to reflect new scholarship. This edition also features several new sections added in response to readers' queries and suggestions.